Ok, but probably it actually does? On Friday, ProPublica reported that Bharara had been managing an investigation into questionable stock trades made by Trump’s new health czar, Tom Price, according to a source familiar with his office. The investigation was reportedly underway when Bharara was told by the Trump administration to resign. During his confirmation hearing for Department of Health and Human Services head in January, Price was criticized for trading shares in health-related companies valued at hundreds of thousands of dollars while serving in Congress. Price, of course, argued that it was all above-board, while several Democrats mused aloud that he might have in fact used his political office to line his own pockets. Senator Patty Murray of Washington, the senior Democrat on the senate’s health committee, even raised the specter of insider trading and suggested that Price be investigated by the Securities and Exchange Commission. The Wall Street Journal reported in December that Price traded $300,000 worth of health company shares in a recent four-year period. In another instance, he introduced legislation to delay regulation of a medical device manufacturer just days after buying stock in that company, according to CNN (this was also in 2016). The day after Bharara was fired he tweeted, “By the way, now I know what the Moreland Commission must have felt like,” a reference to New York Governor Andrew Cuomo’s 2013 investigation into state government corruption that reportedly shut down after the investigation began focusing on him. 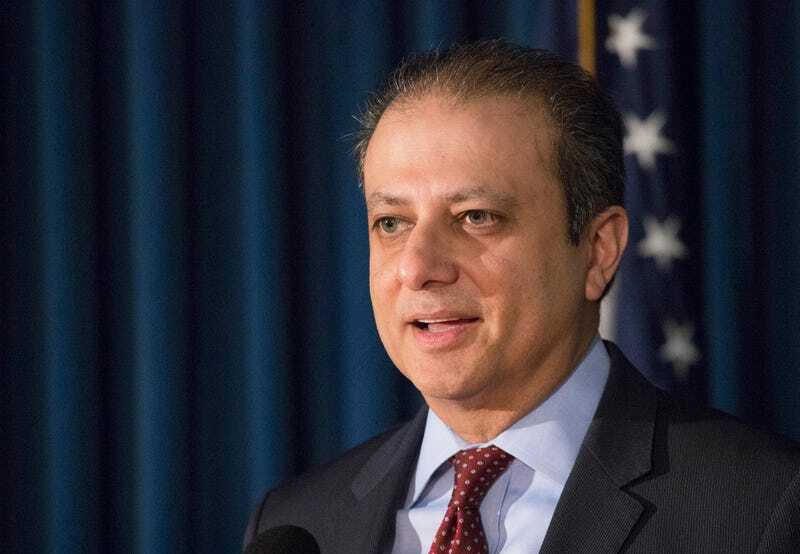 The tweet prompted speculation that Bharara had been investigating members of the Trump administration when he was abruptly let go.